That’s me in the owl sweater, and you also see Mel (who manages the operational side of everything here), Claire (who moderates our Ravelry group with warmth and aplomb) and Tom (the one with the beard who takes the photos). Bruce, of course, felt he should be included too . . . I do hope you enjoyed the video – I thought it would be nice for you to see how the same hat looks on four rather different heids. I also felt it was a good way of displaying the four colourways in which I designed this hat, the club’s first pattern, as well as illustrating the general versatility of the Milarrochy Tweed palette. The four colour ways are seasonal – spring, summer, autumn and winter, and as you can see in the video, we all tried the different hats out to see which we liked best. I just loved developing these different colourways and – trust me – there are many other combinations in addition to those we’ve illustrated here. My hope is that with the Craigallian hat (and the accessories I’ve designed to accompany it) that participants in the yarn element of the West Highland Way club will really enjoy experimenting with my twelve tweedy shades. In every combination the pattern looks different, sometimes quite radically so . . . there are so many possibilities. I’m really excited to see your different interpretations of this design. The club will be offering several prizes for inventive / creative uses of colour, and there will also be the chance (for those of you who are interested) to design a hat in Milarrochy Tweed, the pattern for which will be formally commissioned for inclusion in one of my future collections. More about this later. So – now, down to business. We will open all club subscriptions in the shop on Friday (17th), but will release places for Option 1 (yarn included) in three phases: at 10am, noon, and 2pm. This should ensure, however busy things get, that those of you in different parts of the world have an opportunity to sign up. We have scheduled the three release times during UK working hours to ensure (in the event of any problem) that the support team associated with our shop server is available to resolve matters. Remember, that you can sign up for Option 2 (pattern and book only) at any time, and subscriptions for this element of the club are unlimited – so there is no need to sit poised by a device on Friday. 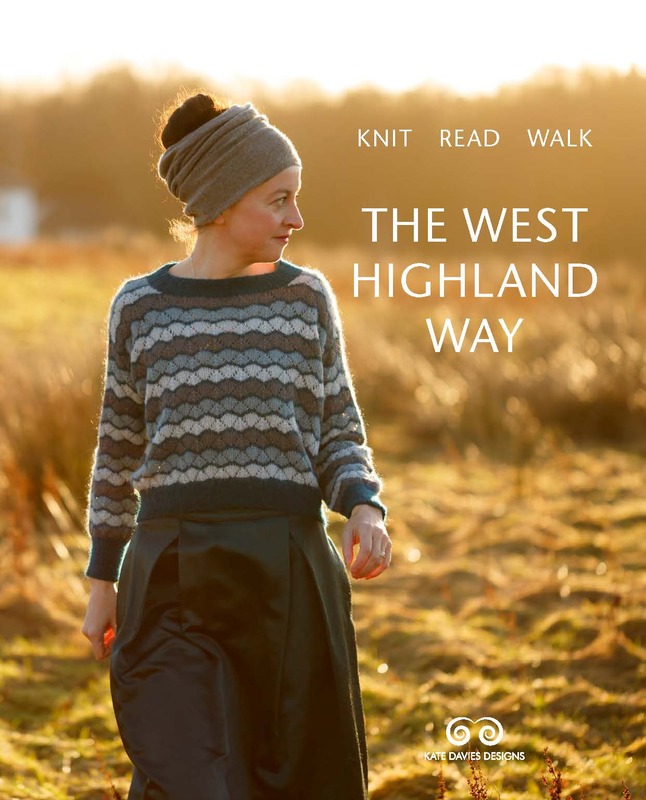 Personally, I am hopeful (having planned things carefully) that there are plenty of places available for those who wish to participate in the yarn element of the West Highland Way club, and that spots will not sell out immediately. Important note: club subscriptions must be purchased individually, and cannot be bought in conjunction with any other item. This is to ensure our system for processing subscriptions works smoothly. If you wish to buy something else from the shop on Friday, please do so in a separate transaction. How much yarn is in a ball of Milarrochy Tweed? 25g / 100m / 109 yards. 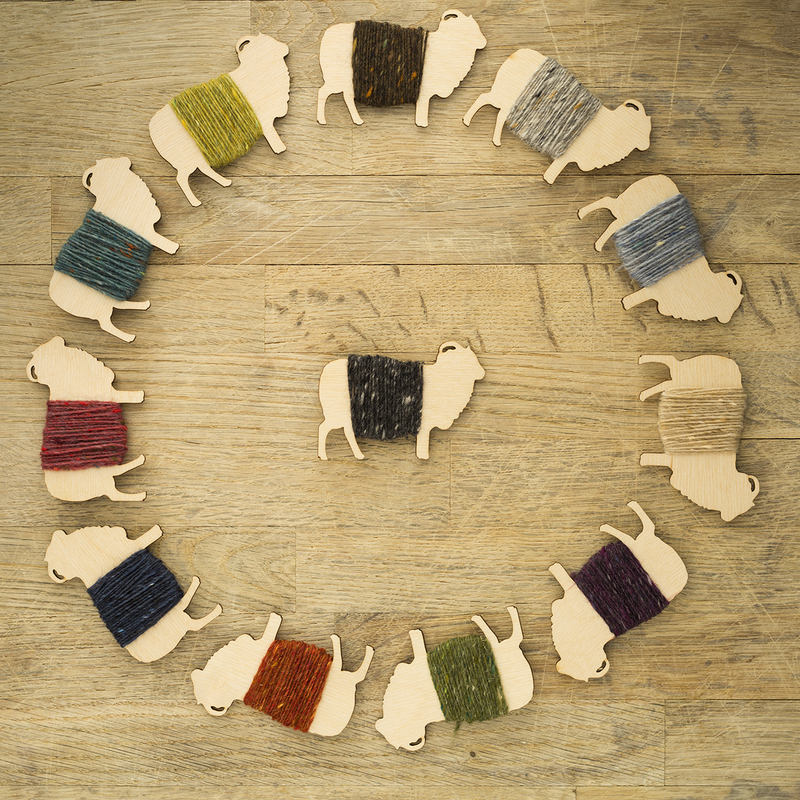 You can find out more information about the yarn’s processing, presentation, and palette in the three posts linked here. Absolutely – just make sure you enter their correct details in ‘delivery information’ when checking out, plus their Ravelry username. Can I purchase multiple subscriptions – for myself and my friends? I’ll send out a wee reminder about timings in the newsletter tomorrow, otherwise – we’ll see those of you who are interested in the club on Friday. What a hat!! What excellent fun!! Where’s Bruce? Thanks Kate. That cheered me up no end after just taking my husband to hospital for an op. It feels like you should be doing the charleston! Good luck with the clubs. Bravo on the great video! So nice that each image got the same amount of screen time – in time to the charming music! Kate – was that little ditty composed specifically for your video or is it available on the Epidemic Sound website? So much fun! When I’m not knitting I’m teaching music and this piece would be great to use. Can’t wait to join the club! The video was such a marvellous way to start my day. Thank you. A delight to see all the personalities emerging! Including Bruce’s! I would love to sign up for Option 1; however, I am a relative newbie in the knitting world and am a slow knitter as a result. Thus, I am worried about not keeping up. Also, I have yet to tackle any but the most basic colour way. Sigh. I think I may go with 2. Nevertheless, t’will be a marvellous experience. Again, thank you for the video and for the opportunity to join a marvellous community. Loved the hat, the video so much fun and Bruce!! Vaudeville LIVES! Fun video and music……great hat! Oh dear – 2AM, 4AM and 6AM on the west coast of North America… Not sure I will manage to snag Option 1. Yep, ironically those times are terrible for those of us in PST. Pretty much excludes anyone not working nightshift. Yeah, this is bumming me out too. Fabulous! Grand video — you all are terrific, humor-filled models, especially Bruce the magnificent. I can’t decide if I should get up early or stay up late…hmmm. Whatever, the excitement will banish the sleepiness, I am sure. Option 1, here I come! Made me smile all the way through the video. Well done! I love the dog…and the hat, too! Please could you tell me if you need to buy option 1 to enter the hat design or if you would still be able to do this using option 2 – I would love to design hat colours. Great intro! Apologies for the following long question. The question comes out of unhappy experiences wherein seed potatoes (last year) and yarn this were seemingly delivered to a similar but wrong postal address and not returned. I learned then of the Universal Postage Union, established by the Treaty of Bern, 1874 and now an agency of the UN. Amazing what one learns over lost Peruvian yarn! Bottom line is that if a parcel goes missing en route to an international address initiation of a claim for lost mail must start at the source. You’ve doubtless encountered this over your years in business, and likely already know all about this process! So question is, will you be able to help if Canada Post once again misdelivers? The US source of my yarn from Peru somehow couldn’t get a claim started and that was expensive yarn in the end! Great posts, thanks for all the info on developing this lovely looking yarn. So excited for this! The colors are lovely and, come January, I’ll have finished the current knitting queue. Will the wool arrive in the US in time for Christmas? Congratulations and thankyouthankyouthankyou for another amazing collection. I’m so excited about the latest club. The hap club was one of the few things that got me through a bleak winter so I’m looking forward to hopefully getting one of the limited option 1s and treating myself to so much lovely wool and patterns. I always want to make everything you design! Brilliant video, really made my day! Charming video… see you Friday! So timezone is Edinburgh time, right? Fingers crossed for a yarn subscription! Wonderful video, such fun! Really made me laugh…..thank you! This is such good fun – put a big smile on my face! Great to see the team all together too. This was an excellent way to start the morning! These hats are beautiful, I love the fact you have one for each season! Lovely to see you all together! The hat is fantastic and I can’t wait to see what else you’ve come up with! 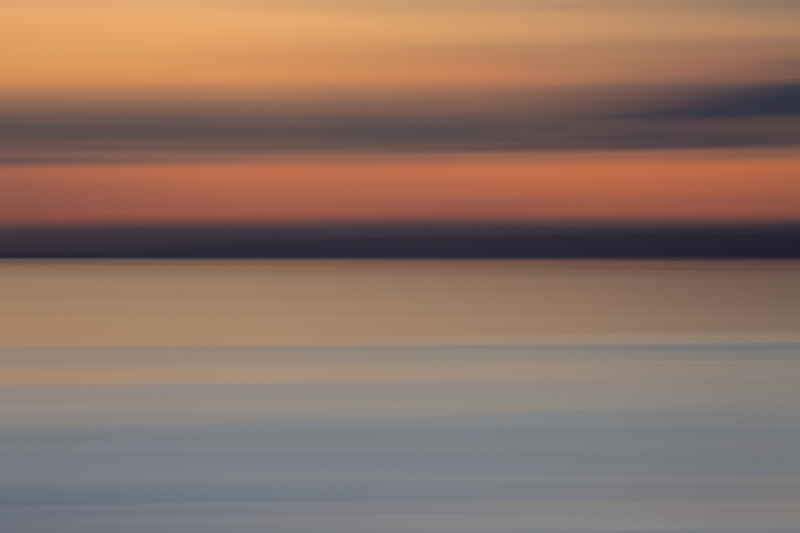 I wish you a gazilliom sales, completely smooth sailing and a great weekend celebrating another fabulous launch! I’ll be up early and ready on Friday! Love this! Such a charming video: I am about to hop on a 12-hour flight and I fear I will be humming this tune all of the way! Lively video- the music brightened my morning commute and put a smile on my face. Love the hat and fun video, you made me smile with my morning coffee. Looking forward to at least buying Option 2 as I love all your books. Love the video and love all of the hat color combinations. I may need to knit 4! Can you tell us please roughly how many patterns are in the book please,Thank you. So looking forward to this club and Friday……going for option 1, fingers crossed! will be on my device Friday.😙😚🤗 option 1.